Our team has a wide range of skills in collecting, converting, and evaluating many types of data for use in the GIS environment for the development and deployment of GIS applications. It gives us the ability to provide most suitable data for your specific GIS mapping project requirements and conduct an evaluation of current data and hardware/software configurations. We can also advise on data formatting and the interoperability of GIS datasets from different sources. The data required for use in a typical desktop GIS mapping may include base mapping at different scales, aerial imagery, overlay data such as postcode boundaries or census data or client specific data relevant to the project. Prehnit offers data collection in cooperation with our business partners. We utilize airborne LiDAR scanning system deployed from a helicopter and a multispectral camera mounted on an Unmanned Aerial System (UAS). The combination of LiDAR scanning technology with an aerial deployment platform allows for extraordinary efficiency and speed for gathering accurate spatial data to support asset management needs for numerous industries, such as power generation and transmission, oil and gas, pipeline, rail and transportation, architecture and engineering, and others. We can utilize professional-grade UAS platform to perform data acquisition tasks to meet a wide range of client needs in market sectors such as oil and gas, electricity, transportation, and telecommunications. Our team utilizes state-of-the-art software to develop Digital Terrain Models and topographic mapping, and to perform various analyses on acquired data. Our services include comprehensive LiDAR and aerophotogrammetric acquisition and data processing solutions. Using multiple data processing software systems, we tailor our LiDAR data processing to the specific need of clients. Data may require conversion into a more suitable or usable format for GIS use, because it might not always be available in its most suitable format. Task encompasses data capture from analog maps into an accurate GIS database or conversion from other GIS formats. 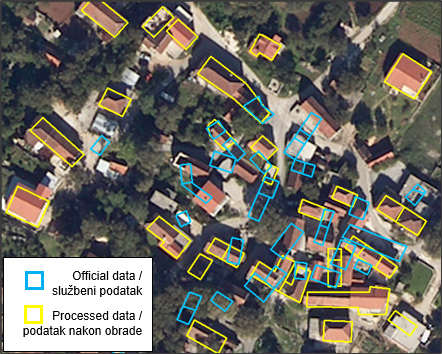 Our team can offer a full range of data collection and conversion services, such as: conversion of one vector format to another, conversion from one coordinate system to another, vector to raster or raster to vector conversion, conversion from image files to georeferenced imagery, data capture of features from existing resources (both textual and spatial), geocoding to convert street addresses into spatial locations etc.